President Rody Duterte arrives at the Francisco Bangoy International Airport in Davao City on September 8, 2018 from his productive official visits to the State of Israel and Hashemite Kingdom of Jordan. 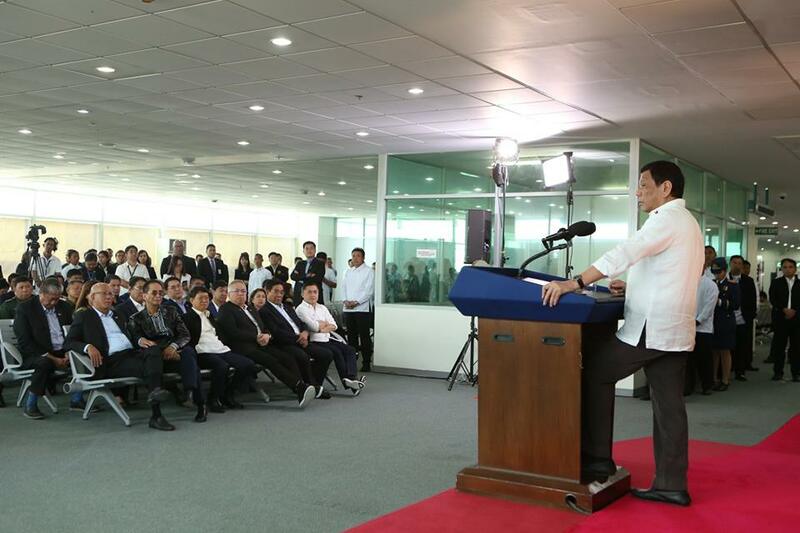 In his speech, the President ran down the different agreements that the Philippines have reached during the official visits. 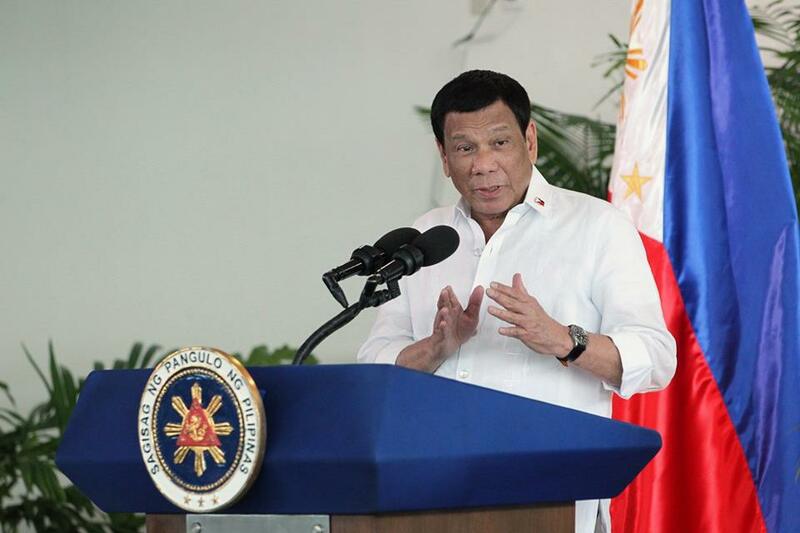 President Rodrigo Roa Duterte arrives at the Francisco Bangoy International Airport in Davao City on September 8, 2018 from his productive official visits to the State of Israel and Hashemite Kingdom of Jordan. Accompanying the President is Secretary Christopher Lawrence 'Bong' Go of the Office of the Special Assistant to the President. 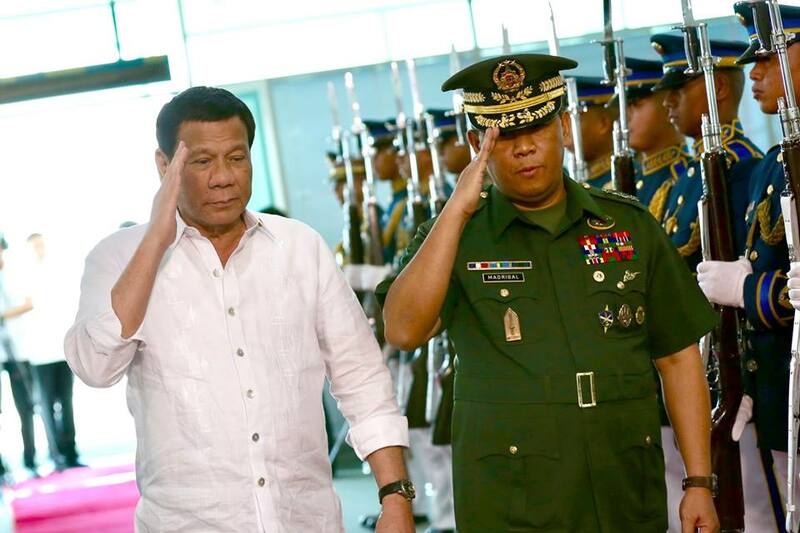 President Rodrigo Roa Duterte is accorded foyer honors upon his arrival at the Francisco Bangoy International Airport in Davao City on September 8, 2018 after his productive official visits to the State of Israel and Hashemite Kingdom of Jordan. 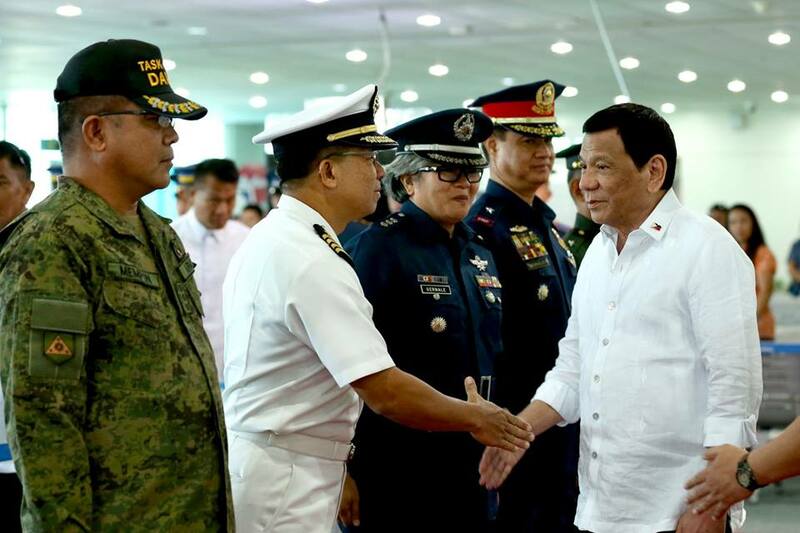 Accompanying the President is Eastern Mindanao Command (EastMinCom) Commander Lieutenant General Benjamin Madrigal Jr.
President Rodrigo Roa Duterte is welcomed by officials from the Armed Forces of the Philippines and the Philippine National Police upon his arrival at the Francisco Bangoy International Airport in Davao City on September 8, 2018 after his productive official visits to the State of Israel and Hashemite Kingdom of Jordan. President Rodrigo Roa Duterte, in his arrival speech at the Francisco Bangoy International Airport in Davao City on September 8, 2018, runs down the different agreements that the Philippines have reached during the official visits to the State of Israel and Hashemite Kingdom of Jordan. 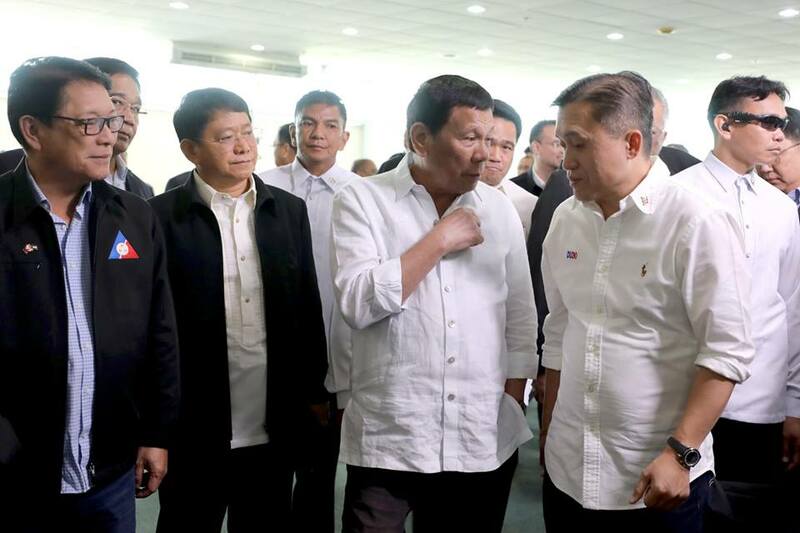 President Rodrigo Roa Duterte discusses matters with Secretary Christopher Lawrence 'Bong' Go of the Office of the Special Assistant to the President upon his arrival at the Francisco Bangoy International Airport in Davao City on September 8, 2018 after his productive official visits to the State of Israel and Hashemite Kingdom of Jordan.